ExoPC Slate Video Converter, Video Converter for ExoPC Slate, Rip DVD to ExoPC Slate. Any Video Converter is a handy video converter for ExoPC Slate that convert movies/videos to ExoPC Slate playable format with ease. With this powerful video tool, you can convert HD videos, avi, mkv, vro, mpv, vp6, wmv, 3gp, flv, rmvb, mpg, mov, mp4, avchd, m2ts, mod, vob to ExoPC Slate playable format and enjoy videos on the go with other hot android phones and tablets like Galaxy S, Droid X, Droid 2, Motorola Xoom, Nexus S, etc. As an excellent ExoPC Slate Video Converter, Any Video Converter can put almost any video formats to ExoPC Slate. Besides, the ExoPC Slate Video Converter also performs its excellence in video editing beyond your imagination such as video clipping, video merging, video cropping and effects adjusting. Easy-to-use interface, fast converting speed, loaded useful features are all integrated. Free download the powerful ExoPC Slate video converter specially designed for you and have a try freely. 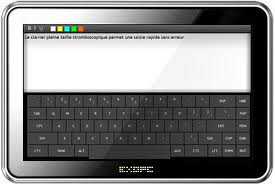 The EXOPC is a Tablet PC, in slate form, that uses Windows 7 Home Premium as its operating system, and is designed by the company of the same name, based in Quebec, Canada. The first EXOPC slate was launched in October 2010 directly from EXOPC Corp. on their website, and in Canada through the company Hypertechnologie Ciara. This ExoPC Slate is also a great media player which supports a lot of media formats including files with MP4, WMV, FLV as video format and MP3, WAV, WMA as audio format. How to convert videos to ExoPC Slate? Any Video Converter is an awesome ExoPC Slate Video Converter which could enable you enjoy the fantastic videos on ExoPC Slate. Here the following is a brief guide on how to convert videos for your ExoPC Slate. Choose output profile "Customized MPEG-4 Movie (*.mp4)" (or other supported format such as WMV, AVI.) in the profile drop-down list. For better enjoying videos on ExoPC Slate, you can customize video and audio options, such as Video Codec, Video Bitrate, Audio Codec, Audio Bitrate, Audio Channel, Disable Audio, etc. Click Convert button to start converting videos for ExoPC Slate. Once the conversion is finished, you can click "Output Folder" button to get the output MP4 files. Then connect your ExoPC Slate with computer, import output videos into it, and have fun! If you want to convert DVD to your ExoPC Slate, you can update Any Video Converter to Any DVD Converter Pro. 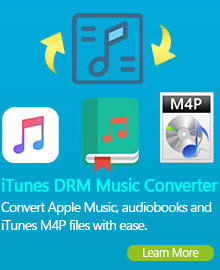 Any DVD Converter is excellent DVD ripping software which can help convert both of your NTSC and PAL DVD to MP4 for ExoPC Slate. Besides MP4 format, the DVD converter can rip DVD to AVI, MPEG, MKV, ASF, WMV, M2TS, FLV, MP3, WMA, etc, with high quality. With Any DVD Converter Pro, you can easily rip DVD to MP4 video formats compatible with your ExoPC Slate. Any DVD Converter Pro works perfectly as it's Any Video Converter Pro plus a DVD ripper. 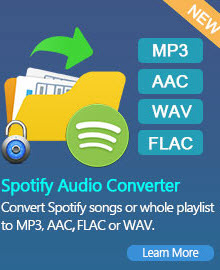 With Any DVD Converter Pro, you have the ability to select DVD titles, chapters or segments for the ripping, instead of converting an entire movie into one huge file; copy protected DVD movies; take snapshot from playing video or DVD movie and save as PNG picture format; extract audio from DVD movies and save as MP3, AAC, WMA, M4A, WAVE or OGG audio files for your mp3 players and mobile phones. Download Any DVD Converter Pro to have a try! Downloading and converting YouTube video to ExoPC Slate, iPod, iPhone, PSP, Archos and many other PMPs is also available. Just with a few clicks and several seconds, ExoPC Slate Video Converter helps you to save the online YouTube video in MP4, AVI, WMV or many other video formats for your portable media devices. Do you want to enjoy the beautiful music on your ExoPC Slate, Any Video Converter could also meet your needs. With the ExoPC Slate Video Converter, you can extract audio from all videos as well as the video on YouTube and other online videos and save as MP3, AAC, WMA, M4A, WAVE or OGG audio files for your ExoPC Slate and MP3 players. ExoPC Slate Video Converter software provides an easy way to combine and join multiple videos together. Just select the videos you want to join and check the “merge output” you can finish it easily. You can merge several video clips into a single video, so that you can enjoy a long video. You can trim the length of any videos to get the video or audio clips you want. The ExoPC Slate Video Converter also allows you to crop video to adjust the suitable size of displaying screen. You may also personalize the video by tuning the video brightness, contrast, saturation or adding some effects like "Mirror Image " or "Flip Vertical", etc. If you have a lot of videos to be converted, but you do not want to waste time to convert them one by one. The ExoPC Slate Video Converter supports batch conversion. It is very easy to use. With just a few clicks, you can finish all what you want efficiently.